Help Choose Names for NE18 & NE19! Nestlings NE18 & NE19 await their forever names! VOTING BEGINS AT 10:00 A.M. (EST) JAN. 5, 2018! Many good ideas for names for NE18 and NE19 were submitted by our AEF Members, making it very difficult for the AEF Naming Committee to narrow the list down to only 5 pairs! Now AEF members will have the final say as to what the final names will be! Individuals who submitted the winning name pair (variations/spellings will be taken into consideration) will receive a free gift from the AEF. 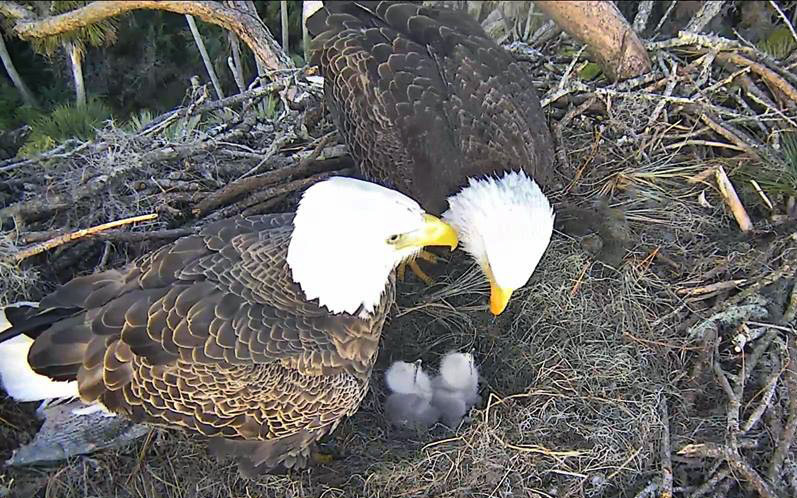 In the meantime, keep watching our eagle family at the Northeast Florida Nest Cam.